The Grilled Salmon with fresh Blueberry Corn Salsa was delicious! It was a big hit with everyone. 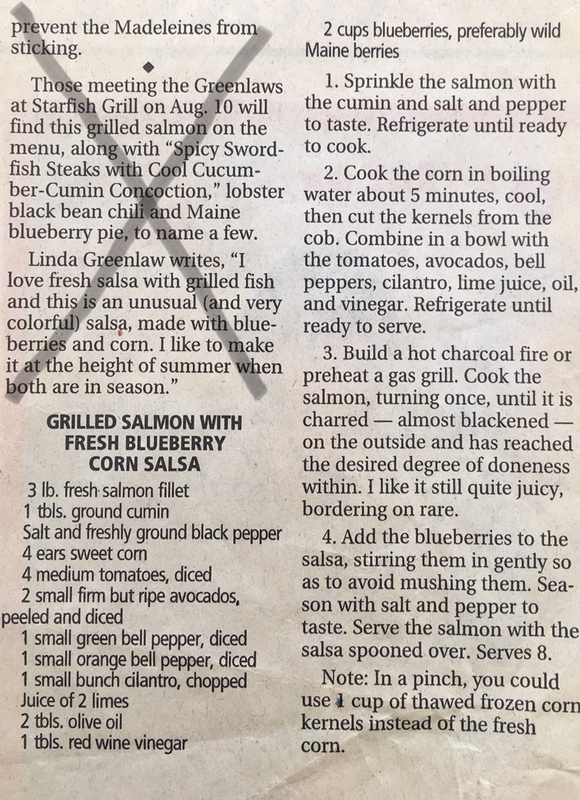 I wasn’t so sure I would like the combination of blueberries and salmon but it blended really well so that the blueberries didn’t take over the flavors. 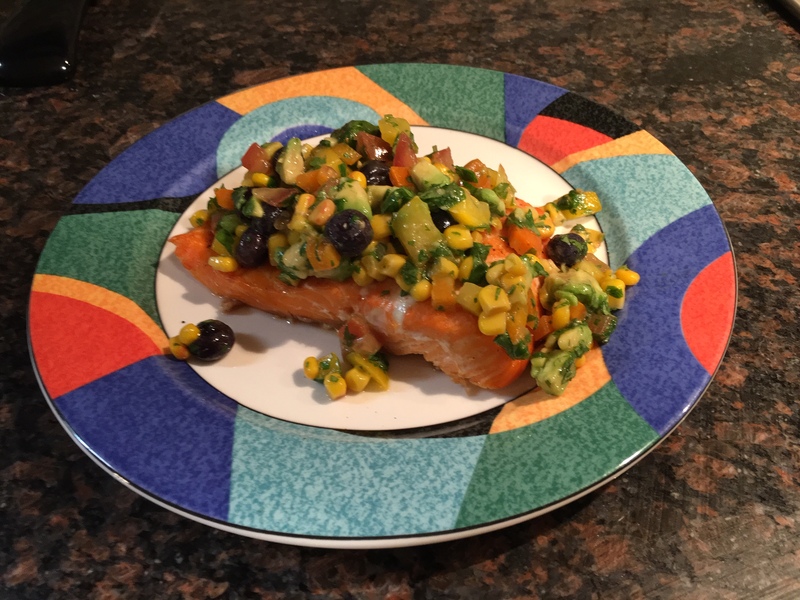 Since it was December and cold outside I baked the salmon in my oven instead of grilling. 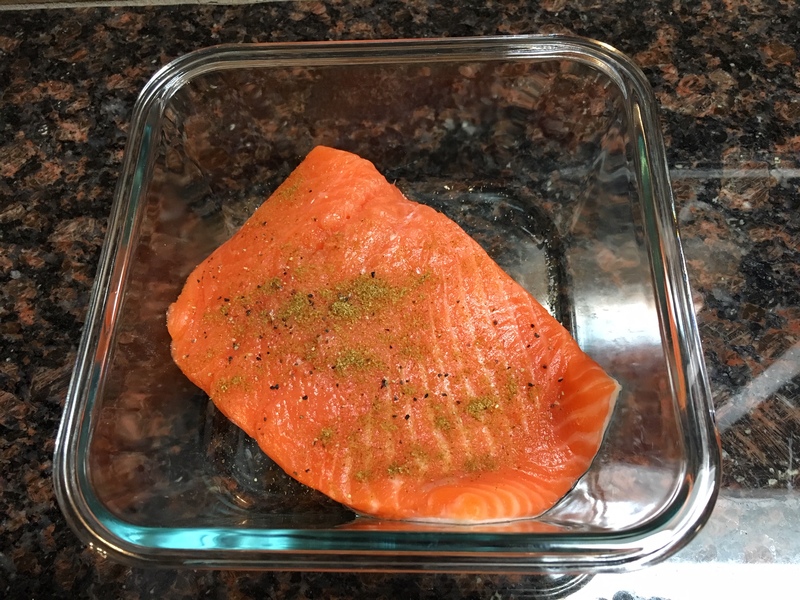 Otherwise, I seasoned the salmon as the instructions stated with the cumin, salt and pepper. 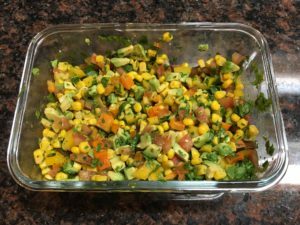 I combined the remaining salsa ingredients and once the salmon was cooked I covered the salmon with it. The individual pieces had plenty of salsa and there was more left for anyone that wanted more! Click here for printable version of recipe. 1. Sprinkle the salmon with the cumin and salt and pepper to taste. Refrigerate until ready to cook. 2. Cook the corn in boiling water about 5 minutes, cool, then cut the kernels from the cob. 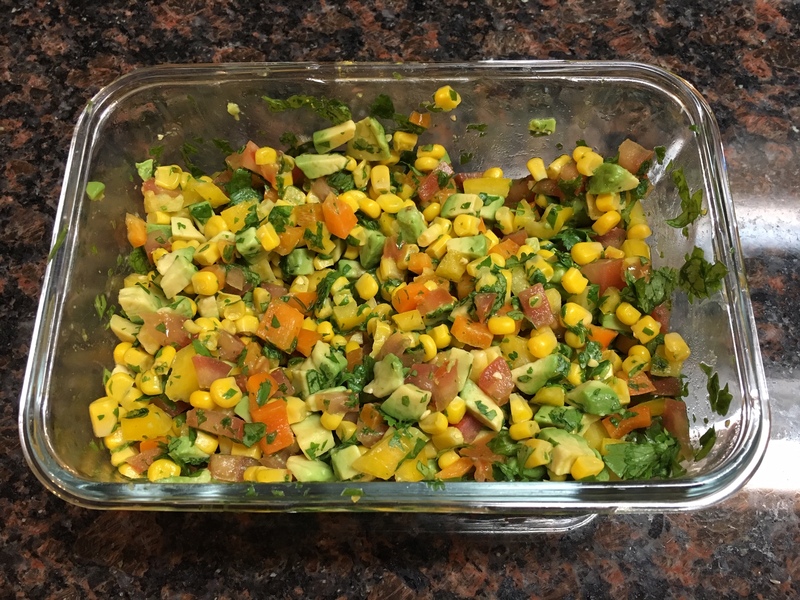 Combine in a bowl with the tomatoes, avocados, bell peppers, cilantro, lime juice, oil and vinegar. Refrigerate until ready to serve. 3. Build a hot charcoal fire or preheat a gas grill. 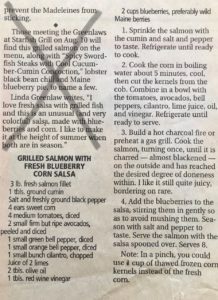 Cook the salmon, turning once, until it is charred – almost blackened – on the outside and has reached the desired degree of doneness with.